It'll have a range up to 1,200 miles when it hits the road in 2020. It's not just passenger vehicles that are moving away from gasoline, big rigs are also saying goodbye to fossil fuels. In Salt Lake City today the hydrogen-powered Nikola One long haul truck was unveiled. According to the truck maker, the semi will be in production and ready to transport goods in 2020. The class 8 truck (the giant ones that transport goods) will have a range of 800 to 1,200 miles between refueling. If the company delivers on that range, the One -- if running at peak efficiency -- could get from San Francisco to Cheyenne, Wyoming on one tank of gas. And the fuel needed for that trip will be included in the 72-month leasing program that company is offering. To solve the limited supply of hydrogen along the highways of the United States and Canada, Nikola also announced its plans to build stations to refuel its new trucks in both countries. The company will start breaking ground on the refueling stops in 2018 and they will open in 2019. 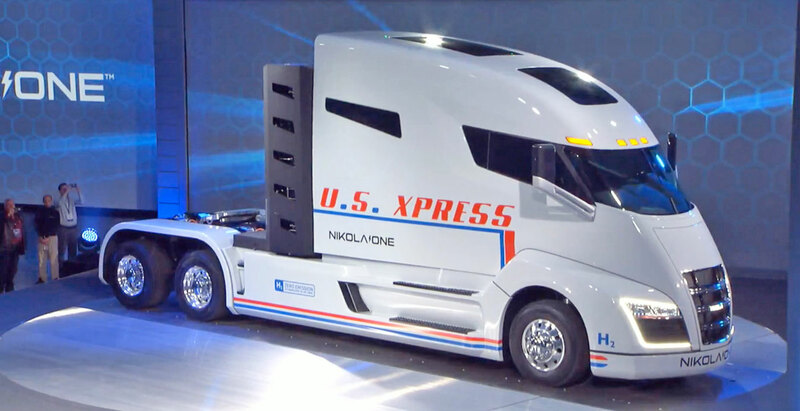 Without those hydrogen stations, it won't matter how impressive the range of Nikola One is if it can't be counted on to transport goods everywhere because it might run out of juice. Yet when it is on the road, the semi's tech will be making the most of its trip. According to CEO Trevor Milton, the truck's navigation system will determine the most lucrative route between destinations. 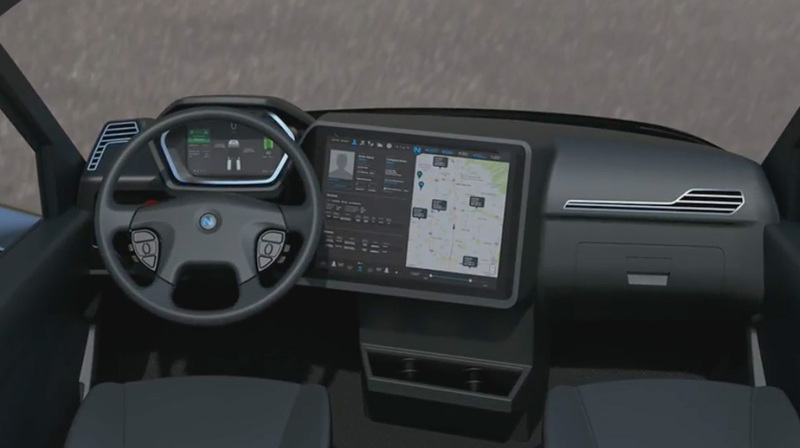 The dash will have a large display sort of like the one found in a Tesla. Nikola is still determining where it'll actually build its new trucks and says it will figure that out sometime during the first half of 2017. Once those semis are built they will be sold, serviced and warrantied by trucking company Ryder's over 800 locations thanks to a agreement announced today. The company also introduced the Nikola Two with the same range performance as the One but a smaller cab and more maneuverability. Like the One, it'll be available in 2020. Both trucks will have an electric motor connected to each wheel which should help with take off thanks to torque vectoring and braking. No word on pricing on either truck. But Milton said that information will be shared soon.